Starbucks Rewards is the extra-ordinary success story of a loyalty programme that now boasts over 16 million members, credited with driving 40 percent of its sales in the U.S. and which has grown more than 25 percent over the last two years alone. This month (April 2019), Starbucks is further enhancing its rewards program “to give members even more flexibility and choice”, so this article describes exactly how the world’s biggest coffee chain will be recognising and rewarding its customers in 2019 and beyond. 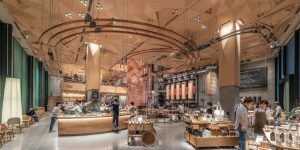 Starbucks is investing heavily in experiences with the launch of new premium roasteries in New York, Milan and Tokyo to add to the original roastery in Seattle and the extraordinary success of its Shanghai interactive store. The new stores in New York and Tokyo are both fully licensed and feature craft cocktails as well as Italian baked goods, set in iconic buildings designed by leading architects to reflect the beauty of the local culture. 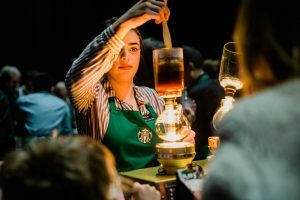 Starbucks is investing in content that connects people to their brand with the launch of a new story-telling site called “Starbucks Stories” – more evidence that coffee and convenience retail experiences are really all about connection. Starbucks is responding to customer’s needs for greater transparency and trust by announcing the idea of future traceability in their mobile app – allowing customers and farmers to follow the journey of their coffee from the farm the beans were grown on, to the roastery they were roasted in and all the way to the store the coffee is bought in. The Starbucks Rewards programme was first launched a decade ago in 2009, and like most successful loyalty programmes, the mechanics of the programme are fairly simple. All members continue to earn Stars as their loyalty currency but these now begin to accumulate immediately the day they join. Members continue to earn 2 Stars for every dollar they spend in store – exactly as before. Starbucks credit card holders also earn 2 Stars per dollar spent in other stores and shopping online, while employees and Starbucks credit card holders earn 3 Stars per dollar spent in Starbuck’s own stores. There are no fees to join the programme. Stars are valid for six months after which they expire if not redeemed, with the exception of Stars earned by Starbucks Rewards Visa Credit and Prepaid members which will not expire. In order to earn Stars, members must pay with a registered Starbucks card or the card they have registered in the mobile app. Perhaps the single biggest change announced for the programme is how much more accessible the programme rewards will be. Previously, members could only redeem after they’d reached 125 stars (requiring a spend of $62.50), however rewards can now be redeemed much more quickly as shown here – starting from just 25 Stars ($12.50 spend)! 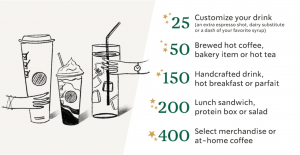 Starbucks Rewards are available from just 25 Stars as part of its 2019 enhancements. The elimination of the two tiers to a flat structure have made the programme even easier to join and faster to benefit. Rewards have been re-structured to be more readily accessible “in as few as 2 – 3 visits” – as a result of micro-rewards available from as little as 25 Stars for drink customisation options. Members earn one complimentary handcrafted drink, food item or bottled drink on their birthday. Free drink refills for all members. The amazing pre-order/queue-skipping service within the app. There is an increased focus on tactical use of the Stars currency, with monthly “double star days” promised, along with games and offers in the app and via email. Some grocery product packaged coffee purchases also earn Stars towards Rewards which drives in home consumption as well as driving core café loyalty behaviour. Alongside the traditional earn and burn structure of the programme, Starbucks Rewards offers some real service benefits that reduce friction – an essential element to any successful loyalty strategy. The key favourite with customers is Mobile Order and Pay – an option allowing members to pre-order and pre-pay their drink in key markets such as the US, Canada, UK and Ireland. Mobile pre-orders via the Rewards app now represent an incredible 11% of U.S. company-operated transactions, with mobile payment overall reaching 30%! The combination of customers willingness to pre-pay on gift cards, along with the outstanding ‘jump-the-line’ benefits have achieved unprecedented success and ‘mountains of cash’, according to this aptly named article – The Bank of Starbucks. In their most recent and largest ever annual investor meeting, Starbucks CEO Kevin Johnson highlighted plans to continue to modernise the Starbucks experience with a focus on three key areas: “convenience, comfort and connection”, along with a $100 million investment in innovation and “new retail.” The company is adamant that this approach is not just a “furniture or a new renovation strategy” but rather a commitment to listen to some of its 100 million customers each week to prepare for the future. CNN quotes Johnson in a recent quarterly earnings call describing Starbucks Rewards as “a powerful enabler of loyalty” so our hope is that these learnings will prove insightful and inspiring as you plan your own digital loyalty strategies in convenience retail worldwide. If, like Starbucks, you are focused on truly engaging your customers and you want to build a digital loyalty program using innovative ideas like those that makes up the Starbucks Rewards program, please contact us.